SFC Gandalf's Grey Haven MAIN! Visit these other Sims Fanatics Community Links! ÿ SFC Splash Screens Plus! ÿ SFC Download Installation/Uninstallation Guide– NEW! ÿ Sims 2 Fanatics Community – NEW! 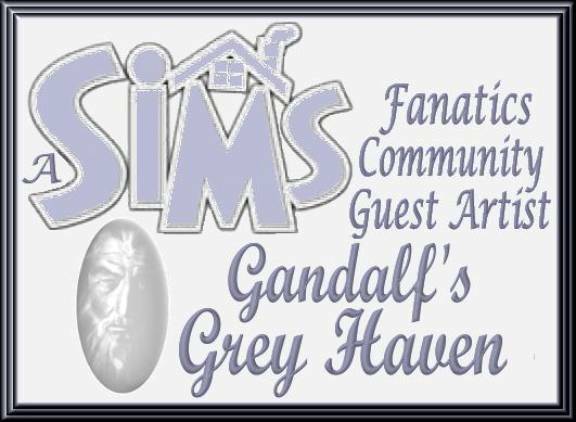 Gandalf’s Grey Haven is happy to be a part of the Sims Fanatics Community! v The Sims Lot Manager Guide – NEW! Thank you to Rougue for the White Staff Cursor! A note from our guest artist! A guide to backing up your favorite Sims Downloads! I hope this helps you keep on Simming for a LONG time! A guide to using ‘The Sims Lot Manager’ (created by James Sausville of Paladin’s Place) to help with your the Sims 1 lot management. See how It can be used for quickly and easily backing up, restoring, and exchanging any of your lots.